Categories: Media, Other People's Pulp | Tags: Frank Frazetta, sabretooth tigers, Savage Pellucidar | Permalink. Today marks fifty years since the original publication of Conan the Adventurer by Lancer Books. The collection, edited by Lyon Sprague de Camp, was the first in a series of paperbacks that revived the interest of the fantasy-reading public for Howard’s character. The book featured an iconic cover by Frank Frazetta. Categories: Books | Tags: Conan, Conan the Adventurer, Frank Frazetta, Karel Thole | Permalink. 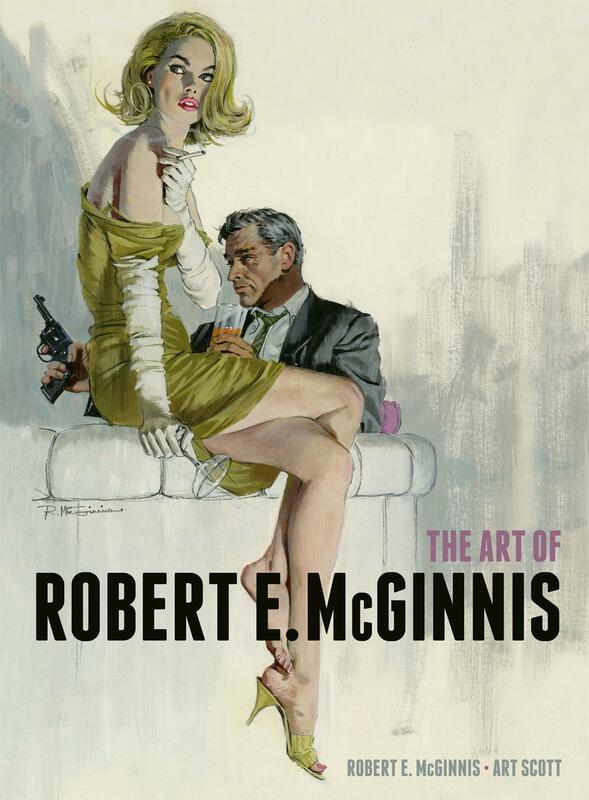 I’ve been spending an inordinate amount of time browsing the gorgeous The Art of Robert E. McGinnis. Now, Robert McGinnis is the first artist I learned to recognize and actually actively seek on the cover of the books I read – before Frazetta, before Hannes Bok or Virgil Finlay, or Michael Whelan. In the early ’80s there were a lot of Italian editions of thrillers and adventure novels that used McGinnis’ artwork – and I soon learned to associate his trait with “interesting read”. And every single image suggested a story in itself – and they still do: to browse through the artbook is to be flooded with story ideas. So, to celebrate this artist that was certainly instrumental in putting the idea in my head about writing adventure books, I’m posting a small gallery of his varied, always extraordinary, works. Categories: Media | Tags: Frank Frazetta, Robert McGinnis | Permalink.